Super Smash Bros. Ultimate has arrived and everyone is here! Shacknews' Ultimate Character Profiles continue, as we shift from a psychic boy to a psychic Pokemon. Today, we look at one of the most dangerous Pokemon in the world. Mewtwo is one of the first of the mythical Pokemon. He's also the most dangerous. Genetically engineered from Mew's DNA, Mewtwo is a psychic monstrosity, able to crush anything with his psychic power. Those who grew up with the Pokemon generation will recognize Mewtwo from Pokemon: The First Movie (a.k.a. Mewtwo Strikes Back). Here, he's used primarily as a weapon for Giovanni and Team Rocket. Once he lashes out against his masters, Mewtwo shows the extent of his powers, utilizing mind control and even a mastery of time itself. 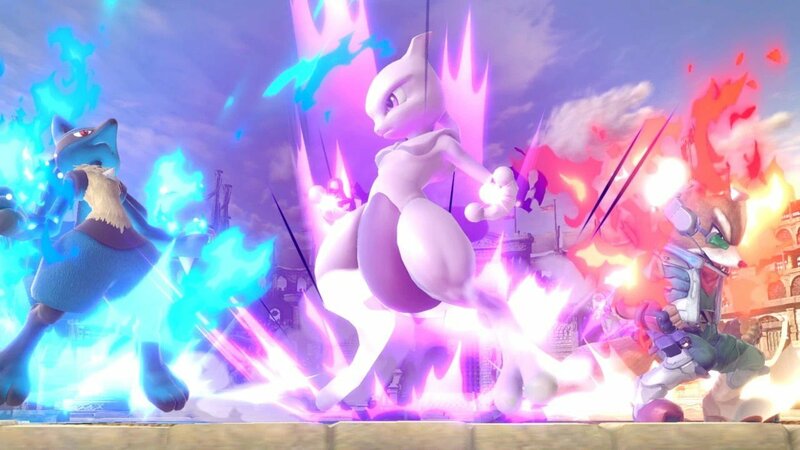 Mewtwo brings his unparalleled psychic power back to Super Smash Bros. Ultimate after sitting out Brawl and returning to Super Smash Bros. for Wii U/3DS as a DLC character. And few minds will be able to stand up to his. Mewtwo brings along some of the more unusual movement patterns among the roster. He brings along floaty jumps that go off in an odd pattern. Combined with his special moves, he's one of the better recovery characters in the game. He also has above-average reach, thanks to his long tail, which can reach players that are camping Battlefield platforms. Unfortunately, as noted way back in 2015, Mewtwo's kind of a lightweight and will get tossed around. Shadow Ball (Neutral B): Mewtwo holds his hands to his side and charges up a powerful blast. It takes a while to charge this up, but at full blast, it's a strong neutral special, capable of KO-ing fighters at higher percentages. Teleport (Up B): Teleport deals no damage, but combined with Mewtwo's floaty double jump, it gives him above-average recovery distance. Confusion (Side B): Confusion uses psychic energy for a command grab, dealing light damage. Skilled players can use it as a projectile reflector, able to deal projectiles back at opponents for increased damage. Disable (Down B): Mewtwo charges up and zaps a close-range opponent, stunning them momentarily. This one's hard to land, but if you can nail a high-percentage opponent with its sweetspot, it's capable of KO-ing. 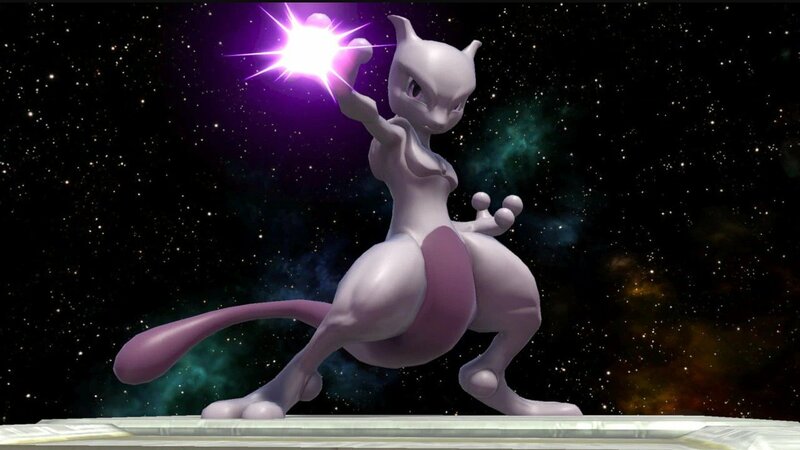 Psystrike (Final Smash): Mewtwo will Mega Evolve into Mega Mewtwo Y and use this powerful move from Pokemon X/Y. This psychic blast obliterates any opponents in its path, stunning them briefly before launching them for an almost-assured KO. 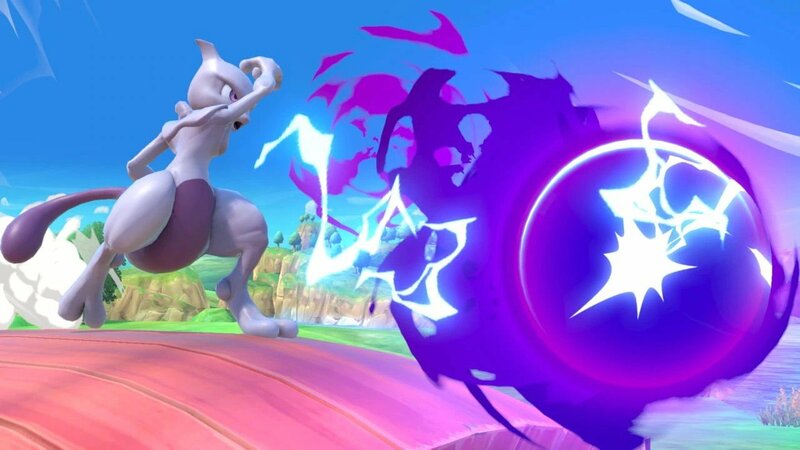 Mewtwo benefits greatly from Ultimate's core changes, now able to move slightly faster while not only getting better air, but getting that air faster thanks to a quicker double jump. Many of Mewtwo's ground and aerial moves have increased range, reducing his need to get close in order to maximize his effectiveness. Mewtwo's throws have been one of the strongest parts of his game and they look to have mostly improved. Mewtwo's up-throw and back-throw more powerful and capable of KO-ing at slightly earlier percentages than Smash 4, making them effective finishers. Use them on opponents who are stunned by Disable. But be careful, because now Disable can be reversed, meaning Mewtwo can now stun himself! As of the time of this post, this one's coming in relatively hot. Freshly-retired Melee legend Adam "Armada" Lindgren is now in the content game and he's got some advice for playing as Mewtwo. He shows off Mewtwo's combo potential off of his specials and his tilts, while also showing off some tricks with the new short hop mechanic. If you're looking to see Armada trot out Mewtwo in a live environment, no worries there. He's been seeing a lot of success, as evidenced in the video below. Samuel "Dabuz" Buzby has been monitoring Mewtwo since the end of Smash 4 and believes the character has hit the next level. Despite some nerfs to some of his moves, like his neutral-air, his main combo pieces like his forward-air and throws are just as good as ever. James "VoiD" Makekau-Tyson didn't see what the fuss was about at first, but after prolonged exposure to the character, he's seeing where the hype is coming from. Here, he cites his damage potential, range, and odd movement. He does note that the new air dodge mechanic will mean that more characters will be able to answer his air combos. Trying to get good with Mewtwo again, his tilts are all great and that makes me happy. I do wish his throws, as good as they are, were a little better. I have him unlocked but I haven't tried him yet. I hear he is surprisingly light weight.